HISTORY STORIES-Why Was the 1918 Influenza Pandemic Called the ‘Spanish Flu’? The ongoing devastation of World War I engulfed much of Europe in spring of 1918 as soldiers – crowded onto military bases in the United States and along the Western Front in Europe – began to fall ill. Droves of otherwise healthy young men reported to camp infirmaries with typical influenza symptoms like fever, aches and nausea, though doctors soon realized this was no ordinary flu. Many who suffered from it developed a deadly form of pneumonia, and their lungs filled with bloody fluid. They choked on the pinkish froth as they gasped for their last breath. The flu outbreak was shrouded in secrecy. These terrifying early reports were kept secret. Americans had joined the fight in 1917, bringing the Allies ever closer to victory over Germany and the Central Powers by the spring of 1918. The war had reached a turning point and neither side wanted to divulge any weakness, says Jim Higgins, a Spanish flu historian at the University of Houston-Victoria in Texas. VIDEO: 1918 Flu Pandemic Get the full story behind the aches, pains and dangerous history of the flu. The Spanish king fell victim to the flu. By May of 1918, influenza had reached the neutral nation of Spain, decimating the capital city of Madrid. Newspapers there – unfettered by any need for wartime censorship – began publishing reports of the deadly new virus. Even the king of Spain, Alfonso XIII, became ill, helping to give the impression that the pandemic had started in Spain. The U.S. and European media soon began calling it the ‘Spanish flu,’ though in Spain, people nicknamed the new influenza strain Soldado de Napoles or “Soldier of Naples,” after a song in a popular Spanish operetta. The hit song was so catchy it was said to spread like the flu. “We now know that the Spanish flu didn’t start in Spain. In fact it probably started far from the Iberian Peninsula,” says Higgins. Yet the exact origins of the global pandemic remains a mystery. Where did the Spanish flu really originate? For many years, medical historians and epidemiologists hypothesized that the outbreak could have started at a British army base in Étaples, France, or at Fort Riley in Kansas, where the first American cases of this new strain of flu were recorded in March of 1918. More recently, experts have proposed a third hypothesis: The Spanish flu originated somewhere in northern China in late 1917 and swiftly moved to western Europe with the 140,000 Chinese laborers the French and British governments recruited to perform manual labor to free up troops for wartime duty. Regardless of its origins, the Spanish Flu was an unprecedented global catastrophe. By the spring of 1919, the influenza pandemic had sickened an estimated one-third of the world’s population and may have killed as many as 50 million people, claiming more lives in a single year than either the First World War or the four-year-long Black Death bubonic plague outbreak that swept Europe and Asia in the Middle Ages. It starts off as scratch in the throat, a sneeze, a sniffle. Thinking it’s just a cold, you pop some pills and jump on a plane to the next meeting, unknowingly exposing hundreds more to the time bomb ticking inside. 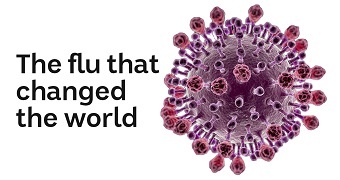 100 years ago, a new strain of the influenza virus was just starting to spread around the globe. It soon claimed more lives than World War I. Adults over the age of 65. But this is a global problem that needs a global approach. Maine suffered its worst influenza season in at least five years, with 9,018 cases reported in 2017-18, an increase of more than 50 percent from last season. The flu season runs from October through late May, and the Maine Center for Disease Control & Prevention wrapped up its annual flu season weekly reports last week. The agency counted 1,750 hospitalizations to go with the 9,018 reported cases, surpassing the 5,830 cases in 2016-17. Eighty-two people died in Maine from the flu, according to Maine CDC, compared to 71 the previous season. Dr. Siiri Bennett, state epidemiologist at the Maine CDC, said it is difficult to compare flu seasons because different strains of the virus circulate and Maine’s reporting of cases improves every year. Bennett said some of the increase can be attributed to better reporting by doctor’s offices and health organizations, although there is no doubt that 2017-18 was a severe season. “It was certainly a very vigorous flu season,” Bennett said. Dr. Kolawole Bankole, director of the Portland Public Health Division, said the flu was “big time” this season. Flu cases accelerated in December and peaked in February, before dropping off in mid-March and April. May began a steep decline in flu cases. Flu is much more common than what is publicly reported because the data represents positive lab tests for influenza. Many more Mainers contract the flu but recover at home and are not tested. The U.S. CDC also reported that this year’s flu season was severe nationwide, with widespread activity in all states, except Hawaii. The early to middle of this year’s flu season was dominated by the H3N2 influenza A virus, a more-virulent strain of the flu that typically results in higher rates of hospitalization. In January, about 25 percent of cases required patients to be hospitalized. But the second half of the flu season saw the emergence of influenza B and other flu strains that are usually milder versions. By the end of the season the hospitalization rate had declined to 19 percent of all cases. About 60 to 70 percent of all flu cases in Maine were influenza A H3N2. Bennett said it is not uncommon for the predominant strain to change midway through the flu season. “I’m not sure why, but there is frequently a shift partway through the season,” she said. Nationally, the U.S. CDC reported 223,487 positive tests for the flu, with about two-thirds of the cases influenza A. Also this season, the flu vaccine was 36 percent effective, according to the U.S. CDC, down from the previous two years. The vaccine was 48 percent effective in 2016-17 and 59 percent effective in 2015-16. Bennett said the CDC “strongly recommends” vaccination, even in years when the vaccine is not as effective. The vaccine is never 100 percent effective because scientists, in order to get the vaccine to the market in time for flu season, must predict months beforehand those strains of the flu that will be most common. For those who get a flu shot and still contract influenza, symptoms tend to be milder and not last as long, research has shown. The National Institutes of Health reported in April that scientists are working on a new flu vaccine that would provide “broad protection against various influenza virus strains,” which would greatly improve vaccine effectiveness. Symptoms include fever, chills, muscle aches, swollen lymph nodes, sore throat, headaches, fatigue and coughing. Along with immunizations, health-care providers say basic hygiene, such as frequent hand-washing; getting plenty of sleep; and staying away from sick people help prevent the spread of the flu. — an outbreak is defined as three or more cases at one location — 116 were at long-term care facilities, such as nursing homes. The average age of a patient hospitalized for the flu this season was 60, according to Maine CDC data. Bankole said Portland recognized the severity of the flu season this year and started a partnership with the Visiting Nurse Association to operate immunization clinics, including one at City Hall. Those efforts will be improved and expanded for the next flu season, Bankole said. He added that the city also will work more with hospitals and the city’s homeless shelter to improve policies surrounding when people who are homeless become hospitalized with the flu. Bankole said when a patient is homeless and discharged from the hospital after testing positive for the flu, Portland Public Health wants to make sure quarantine procedures at the homeless shelter are followed, when appropriate, because patients are often still contagious when they return to group living areas. Authorities predict this year’s flu season will be a bad one, based on what happened in the northern hemisphere. This year’s flu season could be three times worse than last year, with deaths likely, following trends from the northern hemisphere. Nelson Marlborough Health chief medical officer and pediatrician Dr Nick Baker said the flu season in Europe and the US had been as bad as the 2009 swine flu pandemic, during which 49 people in New Zealand died after contracting the A(H1N1) virus. “It really puts pressure on emergency departments, intensive care units and in wards, with lots and lots of patients in corridors." Nelson Marlborough Health chief medical officer Dr Nick Baker says good hygiene habits help to stop the spread of influenza. Baker said figures comparing the recent northern hemisphere influenza season with the 2009 pandemic showed there could be three times as many flu cases this year compared with the last season, in terms of admissions to hospital. * I didn’t get the flu shot. Does that make me an anti-vaxxer? Baker said the last two winters had been “exceptionally mild" for influenza both across New Zealand and in the top of the south which gave people a false sense of security. Charlotte Thynne has just had her third baby girl at Nelson Hospital, and is willing to get her winter flu vaccine. The board had planned an enhanced vaccination programme as part of its preparations for the flu season. “We have to do everything possible to prevent it, but we do expect to be under pressure." Authorities have updated this year’s flu vaccine to include immunisation against the life-threatening flu strain A (H3N2), nicknamed “Aussie Flu". Health authorities are preparing for a busy flu season. Last winter the deadly strain affected about 230,000 Australians and killed nearly 750. About 400 New Zealanders die from the flu or related complications each year. Baker said the vaccine arrived in New Zealand on Thursday, and Nelson Marlborough Health would be administering the vaccine from April 16. Mum Charlotte Thynne was in Nelson Hospital having recently given birth to her third baby. She said if the flu vaccine had arrived before she gave birth, she would have opted for it. Thynne said she had the vaccination while pregnant with her two other children, both of whom were born in June. “I think I will get it now anyway, just to protect her and the family. “You do just get knocked by things when you are pregnant." Thynne said she knew of children that couldn’t have vaccinations because of conditions like cancer so she thought it was important to do her bit to provide protection against influenza in the wider community. Pregnant women are one of the at risk groups who are offered the flu vaccination for free. Baker said women who received the flu vaccination while pregnant passed on immunity to their babies for the first six months of their life. He said influenza was a “very nasty disease" compared to the common cold. “There’s the cough, runny nose, sore throat but there’s often a very severe fever, lethargy, vomiting, loss of appetite, diarrhoea and weight loss. It is a whole body disease." About one in four New Zealanders are infected with flu each year. Of those, up to 80 per cent of the people with the virus had no symptoms. “This means that they won’t feel sick at all but are still passing it on to their family, co-workers and friends." Baker said it was important for people to get the vaccine as early as possible so they had several weeks for it to take effect before they were exposed to the flu. “The more people vaccinated the less the flu spreads, which keeps everyone else safer." Pregnant woman, people over 65, those with chronic conditions, children under five who have been hospitalised for respiratory illness are eligible for a free flu shot. The influenza virus is easily spread – from coughs, sneezes or by touching some surfaces. Being fit and healthy won’t stop you getting the flu. The vaccine has been specially formulated for the NZ 2018 season, by matching the viruses circulating in the northern hemisphere. There are no live viruses in the vaccine. You need a flu shot every year, before winter for best protection. The fast-mutating strain has killed at least 73 people already this year, in the most widespread flu epidemic in Australia for 15 years. A fast-mutating strain of the flu is defying medical experts’ efforts to stop it and has already killed at least 73 people in Australia this year. Victorian Infectious Diseases Reference Laboratory figures showed that the number of notified laboratory-confirmed flu cases in the state of Victoria for the year to July 2 was more than 90 per cent higher than those for the same period last year. A young dad who died on Father’s Day was the latest victim of the country’s most widespread flu epidemic in 15 years. Ben Ihlow’s death came as an eighth person died after a flu outbreak at an aged-care facility in Victoria with 14 more facilities reporting outbreaks at the weekend. The family of the 30-year-old father of one said he was an otherwise healthy and devoted dad when he was struck down last week. A 14-year-old Queensland teenager is also fighting for her life after reportedly contracting a severe case of the flu. Influenza A (H3N2) is the flu subtype that is running rampant throughout the country, especially in nursing homes. Despite extensive study, scientists have been at a loss to forecast the viruses’ evolution in any detail for decades. Australian Medial Association vice-president Dr Tony Bartone said influenza viruses rapidly evolved, making it hard to develop protective vaccines against them. Many viruses, including flu, are shape-shifters, constantly changing their proteins; occasionally, they undergo dramatic changes that evade the body’s defences and can cause local or global outbreaks. Dr Bartone said when this had occurred throughout history, it had killed millions of people during each pandemic. “Every now and then a major change occurs in the virus," Dr Bartone said. “We’re punctuated regularly with seasonal variations of influenza, but the virus is very clever. It has evolved an ability to change its covering and mutate fractionally to get past defences allowing the virus to continue to spread." However, Dr Bartone said Australians weren’t defenceless against the epidemic. “This is a wake-up call to ourselves to be well-immunised people," he said. “Each year an estimated 3500 people die of the flu across the nation, but all the research shows us that being immunised can greatly reduce the risk of contracting the virus to begin with." The vaccination rate in Australia stands at 20 per cent. Dr Bartone said while medications such as Tamiflu were registered to treat influenza, they needed to be used during the flu’s early stages to work. He said cases of patients dying from complications due to influenza, including otherwise young and health people, were not unheard of. “Influenza can easily spread, however, it’s not the virus, but the secondary complications that follow which result in death," he said. “Often, but not always, complications of the virus occur in someone with other medical conditions, and of course, they [complications] are more common in the very young or elderly population, but even people outside these groups are at risk. “It’s a very virulent organism which attacks the body. If it creates significant infection, even under the best care, the possibility for serious complications is still there." Dr Bartone said symptoms of influenza often lasted about five to eight days and include a sore throat, body aches, headache, high fever, chills, cough (usually dry), chest heaviness and fatigue. However, he urged anyone who was having difficultly controlling a fever over a prolonged period of time or in unbearable pain to seek medical help. He said other measures people could take to protect themselves include washing hands thoroughly and regularly, using tissues and keeping surfaces clean. The amount of influenza ravaging the US this year rivals levels normally seen when an altogether new virus emerges, decimating a vulnerable population that hasn’t had a chance to develop any defences. The levels of influenza-like illnesses being reported now are as high as the peak of the swine flu epidemic in 2009, and exceed the last severe seasonal flu outbreak in 2003 when a new strain started circulating, said Anne Schuchat, acting director of the US Centers for Disease Control and Prevention. The levels of influenza-like illnesses being reported in the US now are as high as the peak of the swine flu epidemic in 2009, and exceed the last severe seasonal flu outbreak in 2003 when a new strain started circulating. Swine flu, which swept the globe in 2009 and 2010, sickened 60.8 million Americans, hospitalised 274,304 and killed 12,469, according to CDC data. Deaths from the current outbreak will likely far outstrip those of the 2009-2010 season. “This is a difficult season, and we can’t predict how much longer the severe season will last," Schuchat said. “I wish there was better news, but everything we are looking at is bad news." “We have a lot to learn still about influenza," she said. “It’s a wake-up call about how severe influenza can be, and why we can never let down our guard." Deaths from influenza and pneumonia, which are closely tied to each other in the winter months, were responsible for one of every 10 deaths in the US last week, and that’s likely to rise, Schuchat said on Friday (Saturday NZ time). There were 40,414 deaths in the US during the third week of 2018, the most recent data available, and 4064 were from pneumonia or influenza, according to the CDC data. The number for that week is expected to rise once more reports are sent to the agency. It gets worse. The death toll in future weeks is expected to grow even higher because flu activity is still rising, and the number of deaths follow the flu activity. Hospitalisation rates are already approaching total numbers seen at the end of the flu season, which may not be for months. “Unfortunately, more deaths are likely to happen," Schuchat said. “Over the next few weeks, we do expect and it would make sense to see more pneumonia and influenza-related deaths. The people who are likely to die are already in the hospital." This year’s flu could be more calamitous than outbreaks going back decades, but there’s no way to know for sure. It’s difficult to compare the severity of influenza across seasons for more than a handful of years because of changes in how the virus is handled in the US. The CDC started recommending universal vaccination to stop the spread of the virus in 2010, after previously targeting only those in high-risk groups who were most likely to die from an infection. The agency reported another 10 deaths among US children this season, bringing the total to 63 so far. Half had no other medical conditions that would place them in the high-risk category, and only about 20 per cent were vaccinated. The agency only started counting deaths among children in 2004, after a particularly severe season. That year, the number of doctor’s office visits for the flu peaked at 7.6 per cent; last week it was 7.7 per cent. 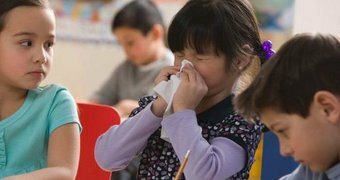 Last month Nelson Marlborough Health chief medical officer and pediatrician Dr Nick Baker says there could be three times as many flu cases this year compared with the last season. This year’s flu season could be the most deadly in years, following trends from the northern hemisphere. In 2015, there were 767 deaths from the flu and pneumonia, according to Ministry of Health data, and the majority were women. That’s about seven people out of 100,000 – compared with 49 people per 100,000 in 1970. Health authorities have updated this year’s flu vaccine to include immunisation against the life-threatening flu strain A (H3N2), nicknamed “Aussie Flu". Last winter, the deadly strain affected about 230,000 Australians and killed nearly 750. Earlier this year, a new strain of the flu virus overseas resulted in a significant increase in hospitalisations and emergency department admissions from influenza and its complications. There were 40,414 deaths in the US during the third week of 2018, according to the most recent data available, and 4064 were from pneumonia or influenza. Last month, Nelson Marlborough Health chief medical officer and pediatrician Dr Nick Baker said the flu season in Europe and the US had been as bad as the 2009 swine flu pandemic, during which 49 people in New Zealand died after contracting the A(H1N1) virus. “It really puts pressure on emergency departments, intensive care units and in wards, with lots and lots of patients in corridors," Baker said. Figures comparing the recent northern hemisphere influenza season with the 2009 pandemic showed there could be three times as many flu cases this year compared with the last season, in terms of admissions to hospital, he said.